The TMC chief also alleged that central agencies, such as the CBI, were being used to harass people. 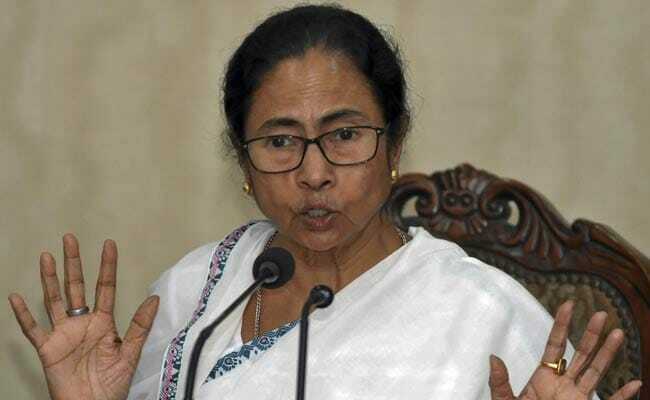 In an apparent swipe at the BJP, West Bengal Chief Minister Mamata Banerjee on Monday alleged that "many TV channels were given money to conduct sting operations" on rival parties and the CBI was being used to harass their leaders ahead of the Lok Sabha elections. "I have heard that many television channels have been given money to conduct sting operations. This is being done to rattle political parties just before the elections," she told reporters at the state secretariat, without naming the BJP. "Just before the elections, agencies are being used (to harass people). They are taking people to New Delhi... You can enquire," she said. Ms Banerjee said most of the people the agencies have arrested have been "framed politically". "Everybody has been framed politically. People from the world of entertainment, journalism, sports have been framed. Some have lost their jobs," she said. The CBI on Thursday arrested noted Bengali film producer Shrikant Mohta, considered close to the Trinamool Congress, in connection with the Rose Valley chit fund scam. Stating that vindictive attitude cannot continue in politics, the Trinamool Congress supremo questioned what would happen when the BJP would not be in power.